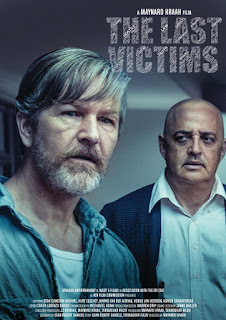 The South African feature film, The Last Victims, will have its world premiere and be in official competition at the Pan African Film Festival, America’s largest and most prestigious international Black film festival on February 8, 2019, in Los Angeles. The political thriller - with a screenplay by Sean Robert Daniels and story by Sean Robert Daniels and Terwadkar Rajiv - is set in contemporary South Africa and was directed by veteran filmmaker Maynard Kraak (Finders Keepers, Sonskyn Beperk, Vrou Soek Boer). It was filmed on location in KwaZulu-Natal with funding from The National Empowerment Fund, the Department of Arts & Culture, the KZN Film Commission, Utkarsh Entertainment and West Five Films. With a completely local cast and crew, the movie stars Sean Cameron Michael (Black Sails, The Last Days of American Crime, MacGyver) and Kurt Egelhof (The Ghost and the Darkness, Zulu Love Letter) in the lead roles. The Last Victims revolves around Dawid (Michael), a former member of South Africa's infamous C1 Counter Insurgency death squad, who must atone for his past when he helps one survivor Pravesh (Egelhof) search for the bodies of a missing anti-apartheid cell. Unaware that as they hunt for answers, they too are being hunted.